A highly qualified audience of 4,568 attended the show. This was an increase of over 20%, compared to the previous edition of BLECH India, held in 2015. Furthermore, 151 exhibitors from 10 countries helped to make the event a truly international networking experience. International exhibitors were namely from Germany, Italy, Great Britain, Turkey, China and Spain. BLECH India 2017 provided a fantastic networking platform for exhibitors to establish successful business relations with customers, agents and partners in India. The exhibition was the ideal opportunity for exhibitors to raise brand awareness within this vibrant and growing market. Exhibitors and visitors to BLECH India 2017 were quick to give positive feedback, with exhibitors commenting on the high quality of visitors. The exhibition attracted visitors from many key industry sectors. The greatest number of visitors came from the following two industry sectors: Mechanical Engineering (31%) and Sheet Metal Products, Components, Assemblies (28%). Visitors from Steel and Aluminium Construction (7%), Automotive Industry and Related Suppliers (5%), Iron and Steel Production (3%), were also in attendance. As in previous years, BLECH India 2017 was co-located with Fastener Fair India 2017. With 3,632 trade visitors and 187 exhibiting companies, the largest ever Fastener Fair India was a NEWS RELEASE NEWS RELEASE NEWS RELEASE massive success. India’s leading exhibition for fastener and fixing technology will return to New Delhi in 2018. Further information can be obtained from the Fastener Fair India team. 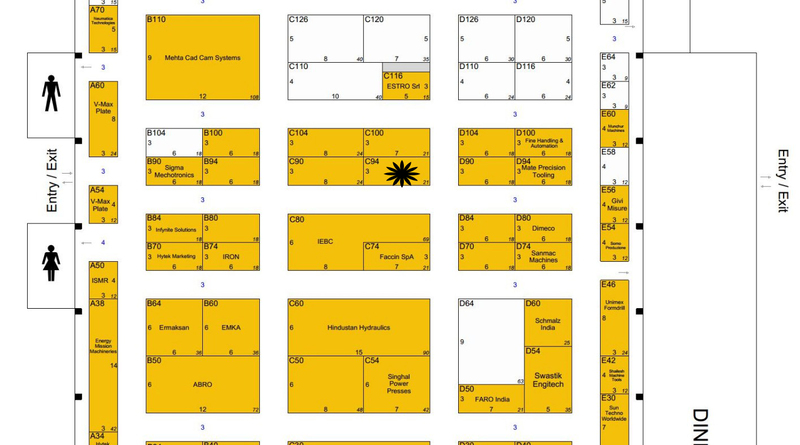 For companies interested in exhibiting at BLECH India 2019, an exhibitor brochure is available from the organisers. The brochure includes important information on stand reservation and stand packages, the venue and India’s sheet metal market. HARSLE will show one CNC Press Brake Machine at the booth, welcome to visit us, the booth number is C94.